New York-based startup CTRL-Labs has closed a $28 million Series A round of funding from Google parent Alphabet's GV and Amazon's Alexa Fund, among others, for its next-generation neural interface technology for AR/VR and robotics. CTRL-labs offers a twist on the brain control interface proposed by companies like Neurable. Instead of reading brainwaves via head-mounted electroencephalogram (EEG) sensors, the lightweight skin-contact sensors from CTRL-labs intercept signals closer to the point of output and relays the information to PCs and smartphones wirelessly via Bluetooth. It's kind of like wiretapping the central nervous system. Among the benefits of the technology is hand tracking without cameras. 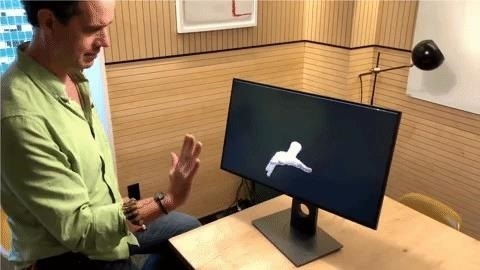 With its hand pose reconstruction API, developers can map inputs of position and motion of each finger and joint based on intercepted signals. Also, because the technology reads the user's intention, user input can be detected with or without motion. Later this year, the company plans to release its developer kit, CTRL-kit, that will enable developers of augmented and virtual reality experiences, as well as interface designers in productivity and robotics industries, to integrate the technology with their apps. CTRL-kit will provide built-in recognition and classification for common gestures used in augmented and virtual reality interfaces. 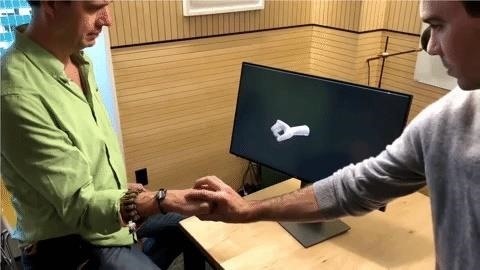 It will also include force and tension modeling in the SDK, which will allow developers to measure pinch and grasp forces. Led by co-founder and CEO, Thomas Reardon (also known as the creator of Internet Explorer), the company has also developed an Intention Capture Engine that employs a neural network to decode further the signals nerves receive from the brain. The network can be used to customized applications so that they become more accurate based on learned patterns. Such a system could make user inputs much more seamless for augmented reality applications. For instance, typos would become a thing of the past when the intention is measured instead of the actual key pressed. CTRL-labs has votes of confidence in its technology by way of dollars, having amassed $39 million in total funding to date. Lux Capital and GV led the latest round of funding, joined by the Amazon Alexa Fund, Vulcan Capital, and Founders Fund, with existing investors Spark Capital, Matrix Partners, Breyer Capital, and Fuel Capital also participating. Notable angel investors include Slack CEO Stewart Butterfield and Warby Parker CEO.